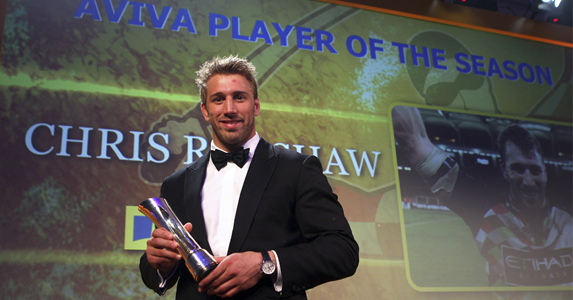 ENGLAND CAPTAIN Chris Robshaw’s successful year continued when he was named Aviva Player of the Season at the Aviva Premiership Rugby Awards in London. The Harlequins back-rower led his club to top spot in the Aviva Premiership table at the end of the regular season and his side now host Northampton in the semi-finals on Saturday afternoon at the Stoop. 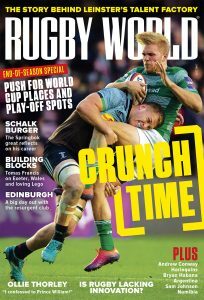 Robshaw, who captained England to second place in the RBS 6 Nations, has now been rewarded for his achievements at club level with the Player of the Season gong. Despite leading his country this season, Robshaw has still played an impressive 16 Premiership matches for Harlequins. Last season he was ever-present, playing in all 22 league fixtures. 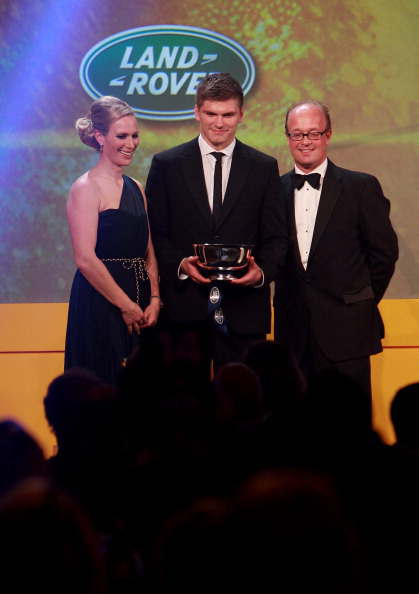 The Land Rover Discovery of the Season award, which is presented to the best player aged 21 years or under on the day of the Aviva Premiership Rugby Final (26 May 2012), was won by Saracens centre Owen Farrell. The award caps a remarkable couple of seasons for the 20-year-old, who also made his England debut this season. The final major award, the QBE Director of Rugby of the Season, was presented to Rob Baxter, the man who has been instrumental in guiding Exeter Chiefs to fifth in the Premiership table and a place in next year’s Heineken Cup. The MBNA Try of the Season was awarded to Gloucester full-back Jonny May for his stunning strike against Harlequins. Other winners on the night were London Irish’s Bob Casey, who received the Aviva Community Player of the Season Award for his tireless work on a number of community projects, and Exeter’s Gonzalo Camacho, who won the Gatorade Game Changer of the Season Award. Tom Homer ended the campaign with 253 points from his boot for London Irish so took the Gilbert Golden Boot and Sale Sharks full-back Rob Miller crossed the line ten times to pick up the Guinness Top Try-Scorer of the Season Award.